CANMORE, Alberta, February 8th, 2019: How fitting that Brendan Green of Hay River, NWT retires amid a Polar Vortex. Today the 32 year old suited up for what was his final World Cup Biathlon race: the men’s relay, where they placed 10th. “I thought it would be special to bring my career full circle, back to where everything started and finish off with one last World Cup race in front of family and friends” Green says at the finish line. The men’s team and coaching staff joined him with champagne in the finish area to celebrate. With the icy weather challenging the world’s best athletes, Green had one final advantage on his competitors. It may be called a Polar Vortex in Canmore, but in the north, it’s just another Friday. “I grew up in Hay River, Northwest Territories, so I’m used to the cold” he says. “There are so many people in the North that dedicated valuable time and resources to help me achieve my sporting dreams, and I’d like to thank those volunteers, family and friends.” Green also sends his gratitude to teammates, wax technicians, and his coach, Matthias Ahrens who he’s had nearly his entire career. “We’ve experienced a lot over the years- highs and lows, I feel like we’ve seen it all together”. Known by his team for his quietly analytical character, his gentle nature, and ever-present sense of humour, Green presence will be missed. While Green will miss the athlete lifestyle, his career hasn’t been obstacle free. After a spinal disc injury before a World Cup race in Oslo where he raced with his injury to a top ten result, Green underwent two back surgeries. 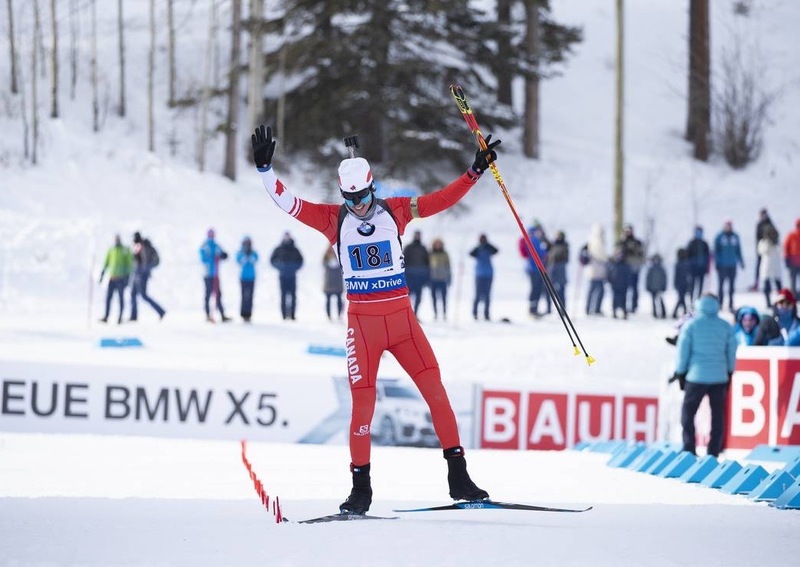 Suffering an additional traumatic shoulder injury this spring, Green felt that his home training ground of Canmore would be the perfect time to hang up his skis and rifle. The World Cup finishes in Canmore on the weekend with a 10km sprint race for men, and 7.5km race for women. For more information visit canmorebiathlon.ca.